We cover all aspects of roofing including roof overhauls, gutters, property maintenance, roof repairs and chimney repairs. S.W Roofing Contractors have a highly skilled team of roofers that are committed to providing you with the highest standards of work. All work is fully insured and S.W Roofing Contractors offer a 24 hour emergency support service. S.W Roofing Contractors are a professional and reliable roofing service, and we are well known throughout the North East of England. We offer our services to commercial and domestic customers and we pride ourselves on our fantastic aftercare service. So if you are looking for a Roofing Contractor in any of the following areas please contact us today: Darlington, Stockton, Middlesbrough, Hartlepool, Newcastle, Sunderland, Crook, Co. Durham, Leeds, Northallerton, Stillington, Redmarshall, Sedgefield, Fishburn, Spennymoor, Bishop Auckland, Newton Aycliffe and other surrounding areas. Hall Aspects of Roofing are experienced roofers who have been working throughout Middlesbrough and the surrounding areas for a number of years. From installations to repairs and so much more and with over 30 years of experience in the roofing industry, you can count on Hall Aspects for all your roofing needs. 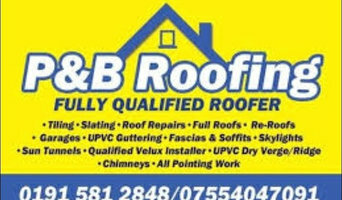 With years of experience carrying out roofing services, our team have honed all and developed all the skills needed to ensure a professional and efficient service is provided.Hall Aspects of Roofing are a local roofing company, based in Middlesbrough and have clients across the North East and beyond. We specialise in new roof installations and roof repairs. All scaffolding for our roofing jobs, are erected by our CITB trained scaffolders and we also ensure all rubbish is removed from your property once the job is complete. Our success is based on reputation and the recommendations we get from our customers.All our team of roofers are extremely experienced and highly trained and dedicate themselves to achieving customer satisfaction. We are passionate about what we do and pride ourselves on being prompt and efficient in order to fit in with your schedules. No job is too big or small for our roofers and we are happy to undertake major projects and contract work in relation to the domestic, commercial and industrial sector. We are local authority approved contractors and have ongoing contracts and partnerships with Middlesbrough Council, Coast and Country Housing and Thirteen Group. Why should I hire Yarm, North Yorkshire roofers to handle my roofing and guttering? There are a wide variety of materials available and your Yarm, North Yorkshire roofers can help you decide which option is best. You might look at clay, slate or concrete tiles and your choice will depend on cost, the style of your home and the local roofing style. In the North West of the UK you will see a lot more slate tiling, whilst in the South East there is an abundance of clay roofs. If you are in a conservation area you may find that your choices are more limited and you may need to look for reclaimed tiles; local Yarm, North Yorkshire roofing contractors will be knowledgeable in this area, so ask for their advice, too. 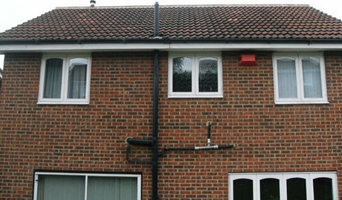 How do I find good Yarm, North Yorkshire guttering specialists and roofers? Search for Yarm, North Yorkshire roofers and gutter cleaning specialists in the Find a Pro section of Houzz. Read their profiles, try to match their core skills with the problem in hand – some specialise in flat roof repair using roofing felt, others only work with roof tiles – and then see what previous customers have to say about their quality of service. Ask for personal recommendations from friends and family. Ideally your shortlisted roofing and gutter specialists or experts are members of the National Federation of Roofing Contractors (NFRC), the Guild of Master Craftsmen or the Federation of Master Builders (FMB). Each trade organisation demands a high level of expertise and imposes a code of conduct on its members. TrustMark is a government-endorsed scheme that independently assesses tradespeople and allows you to lodge a complaint if necessary – look out for that. Call them round for a consultation and make sure you request a written quote. Cheapest is not necessarily the best; more importantly, who can you work with? Find Yarm, North Yorkshire roofers and gutter cleaning professionals on Houzz. Narrow your search in the Professionals section of the website to Yarm, North Yorkshire roofer or gutter specialist. You can also look through Yarm, North Yorkshire photos by style to find a roofing project you like, then contact the specialists or roofing contractors who designed it.